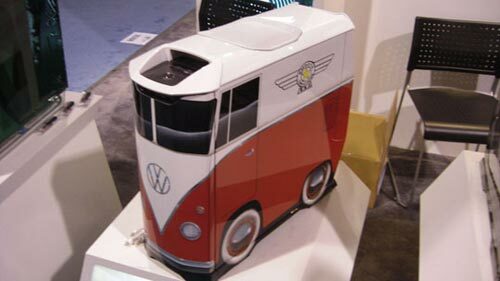 Check out this cool VW Camper Van Case mod, this would look awesome on your desk, and would be a great accessory for VW fans. 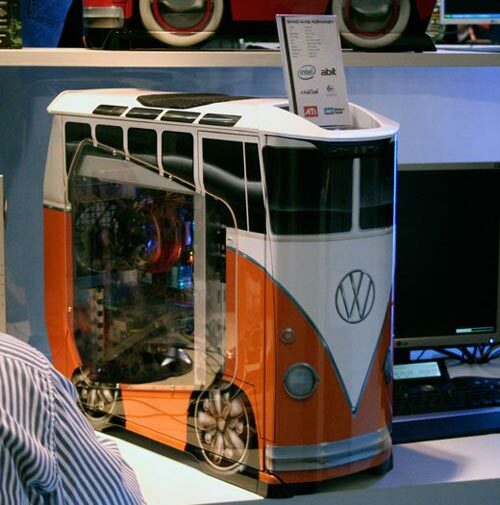 It is being shown of at CES 2008, at the Cooler Master stand, and the case if one of Cooler Masters high end CSX series. The custom paint job was provided by the guys over at Smooth creations, and the detail on this is really cool, it looks very realistic. I have to say it looks amazing, there are a few other cases available is the lineup over at CMCSX and they start at $899 up to $1299.